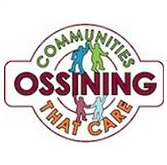 The Ossining Documentaries Series is made possible by the hard-work of our volunteer committee members, support from local organizations and through generous donations from our audience members! & Thank you to our “FRIENDS” for making this film series possible one month to the next! We also value the support of our sponsors. If you are interested in supporting the series, please contact us!